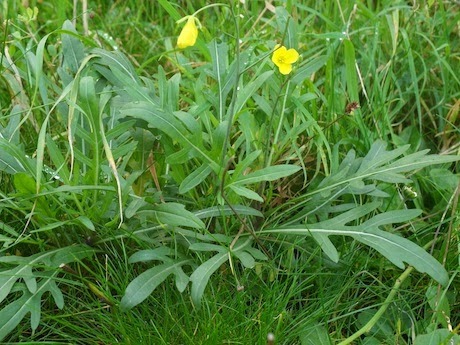 WILD PLANTS - FRIEND OR FOE...? This week I have been looking into lots of different forms of healing oneself via diet, mainly due to being fed up with various ailments that have come my way recently. Eating only plants is one option, i.e., going vegan. I think that this may be a little extreme for me! Whilst I am not a nutritionalist and therefore, am not really qualified to be writing on eating a vegetable diet, I am hoping that if I put it under the heading of Plants, with my floristry knowledge I may get away with it! To further demonstrate that I do not have a great knowledge on herb/plant life I will tell you what happened last week when some friends came over for lunch. The conversation turned to the fact that we have wild Spinach growing in our garden and I know this because my husband disappears to the land at the side of our house and comes back with handfuls of leaves to be chopped up and added to our tortilla or whatever pot is on the go at the time. Looking into wild Spinach I see that it is high in vitamins A & C, riboflavin, calcium, potassium, magnesium, zinc, manganese and copper and all growing for free on our land! One friend mentioned that you can get wild Rocket growing here also and we all wondered outside to investigate. I pointed to the large clumps of green leaves and under the washing line, near a tree to show them the wild spinach. My friend bent down and picked off a leaf and popped it in her mouth to chew, I then followed suit and another friend also. Suddenly, the inside of my mouth was burning and also my tongue and it really felt as if I had eaten a stinging nettle! My friends were also spitting out what was in their mouths and we ended up lisping with swollen tongues, asking what on earth we had just eaten! I rang my husband, lisping with now numb tongue and lips, as to where the wild spinach was located and was told it was by the wall and no, not next to the tree by the washing line. 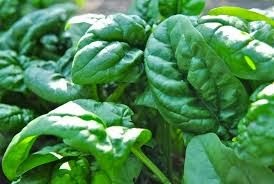 So, I think we had, in fact, eaten the toxic look-a-like of Spinach and when I compared the two leaves the ones we had accidentally eaten were a much more pointed leaf than the rounded Spinach leaves which we normally enjoy. 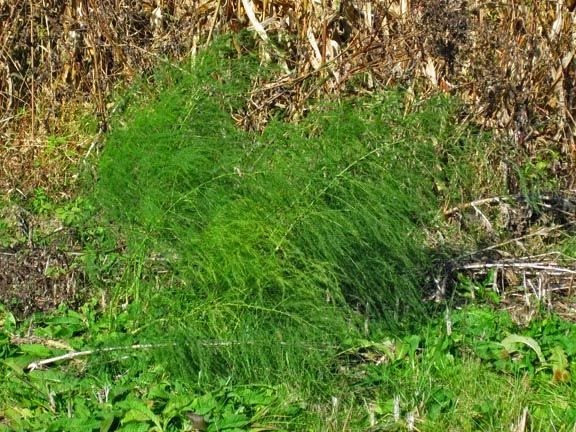 The other plant, growing like a weed, that I am searching around for at the moment is the wild Asparagus. We do love this little treat from the garden. 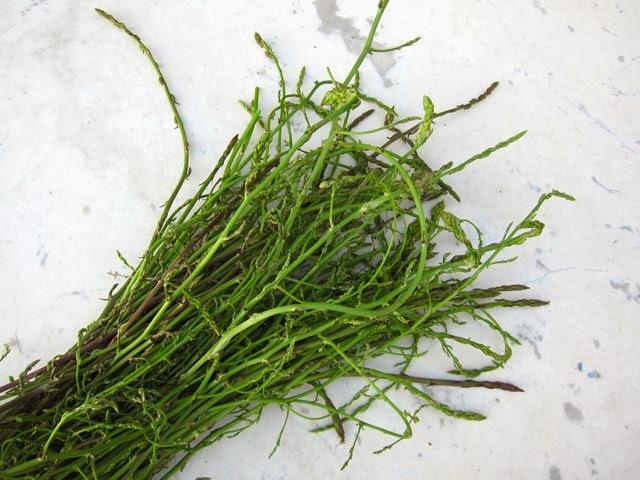 In my London shop days I would often use Asparagus Fern and never really thought of the association of it being the “leaf” of the Asparagus. Now whenever I see this type of fern growing I quickly look to see if there is any Asparagus there also. It is much finer and thinner than the usual Asparagus and darker in colour. 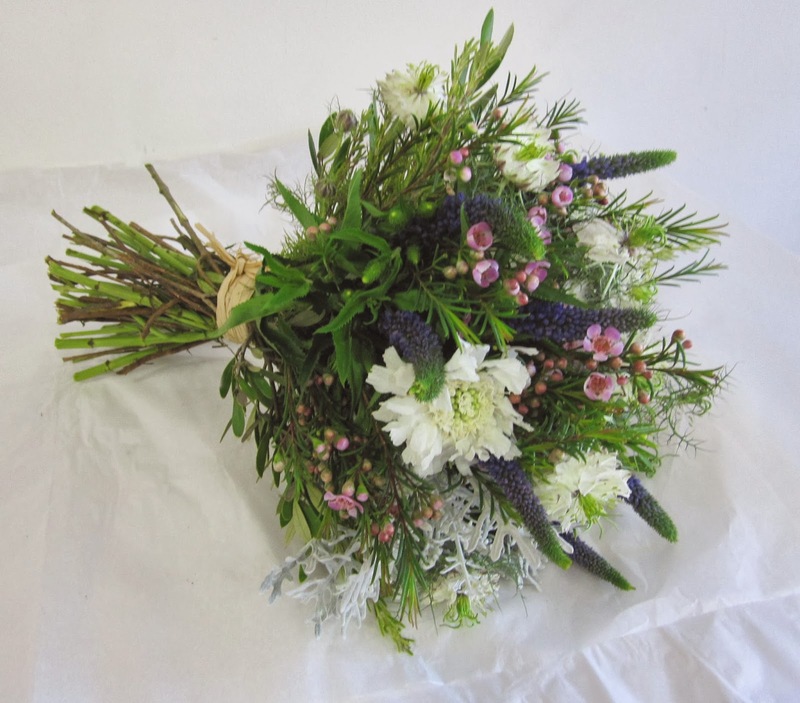 Of course, herbs are now popular to be added with flowers and are often used in wedding bouquets. Here we mixed lots of Rosemary and Olive with little wild flowers for a wild flower bunch. For another wedding I have been asked for pots of Sage and Thyme to be put on a table with a comment/guest book where guests can leave “Sage” words of advice on marriage learnt over “Thyme”! If you have the chance get foraging for those weed/plants in the garden, but keep safe out there!